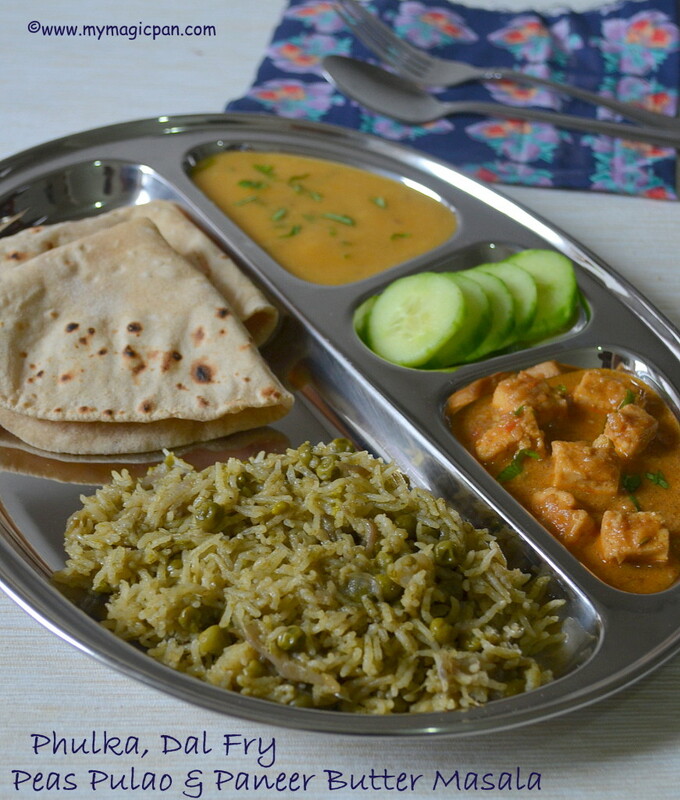 This week’s lunch menu is a simple North Indian Lunch Menu. This is actually my kind of lunch, though I would not include a rice variety during week days. 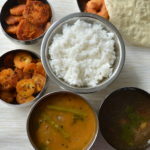 I so so love North Indian lunch. 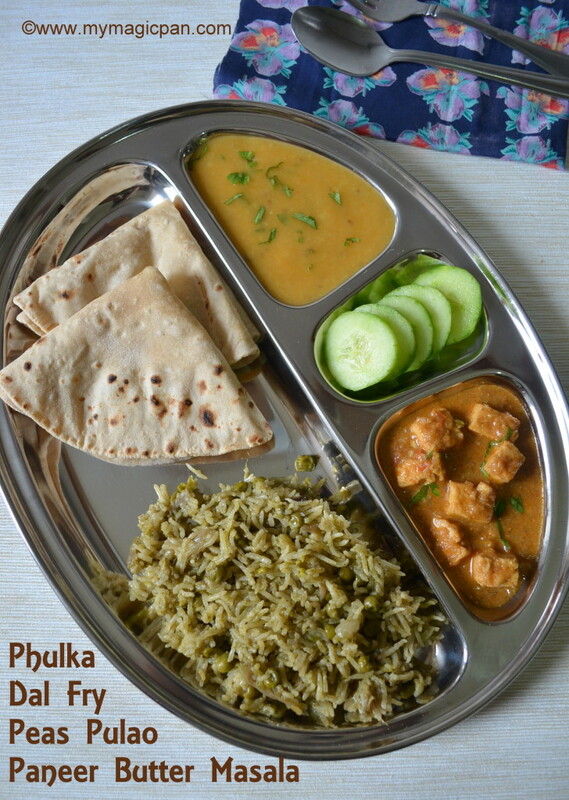 I can live on phulkas for days together. 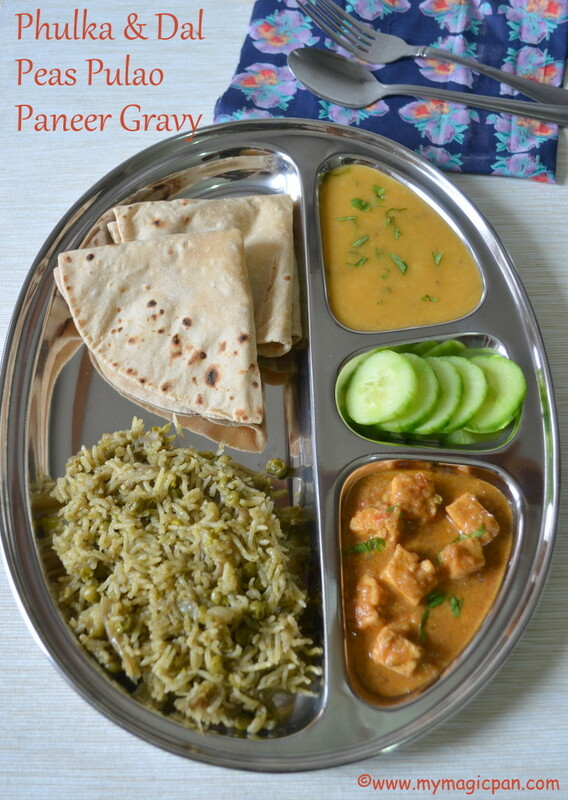 This menu includes Phulkas, Dal Fry, Peas Pulao & the most wanted Paneer Butter Masala. U can keep this combo as an idea and change the sides according to your taste buds and preferences. Have left links below for all that is included in this menu as well as other suggestions! Pressure cook dal first. Meanwhile finish all the chopping/grinding work. By this time dal would have been cooked. Finish preparing the dal. In another pan, start making the paneer gravy. By the time the onion-tomato base gravy is ready, u can keep the dough for phulka ready. Let the paneer butter masala get ready in a stove. In another stove prepare the peas pulao. 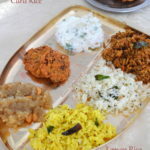 I do not soak rice, if u do plan ahead accordingly. Finally make the phulkas. U can finish it by the time pulao gets ready. Thats it!! 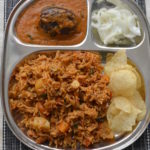 Yummy and filling North Indian Lunch Menu is ready!! U can add fresh spinach to your dal and make it as Spinach Dal. 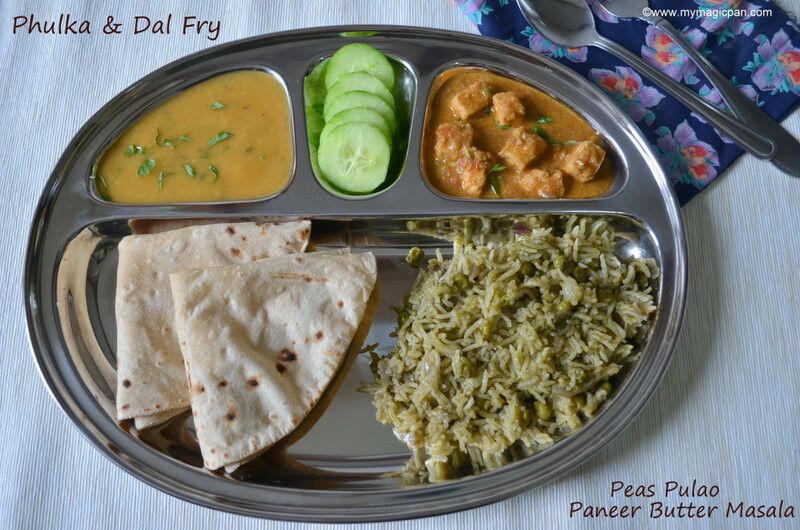 Jeera Rice can be made instead of Peas Pulao. That plate looks so tempting and delicious, yumm..